As the days draw in we face the seasonal challenges of driving through the winter. Dusk happens quickly, it is dark for longer, it is wetter and colder, and winds, fog, ice and possibly snow are all likely. More accidents happen as people adjust to the changing light levels, but there is much you can do through winter to keep yourself and your passengers safe. Generally, and most obviously, reduce your speed for the conditions. Give everyone, including yourself, more time and space to react – especially more vulnerable road users. Drive in higher gears when the roads are slippery. Your wheels are more likely to spin with the revs of the small gears. Leave a 4 second gap between you and the car if you find yourself driving in very heavy rain or other bad conditions. If you do skid, turn into it. 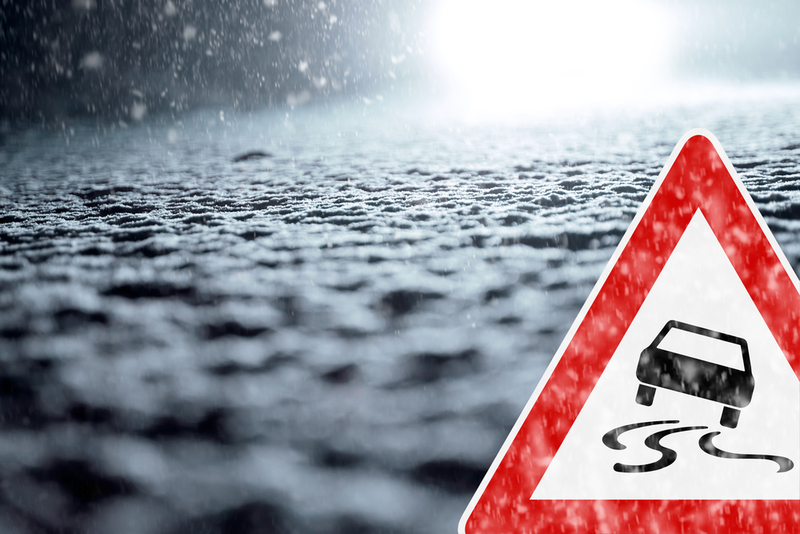 Don’t panic – take your feet off any pedals and steer in the direction you are skidding to cancel it out. Test your brakes gently after driving on flooded roads. Keep your fuel tank at least half full. This will minimise chances of a blocked fuel line in very cold conditions, but also ensure you are prepared for unexpected detours or delays. Ensure your tyre tread is always at the legal 1.6mm requirement. You can test this with the depth of a 20p coin. In winter it is sensible to have more tread, and Brake, the road safety charity, recommend 3mm for safety in very wet conditions. Be sure to turn off fog-lights when no longer needed as they can be blinding to other vehicles and be aware that high-beam headlights can reflect the fog making it worse. 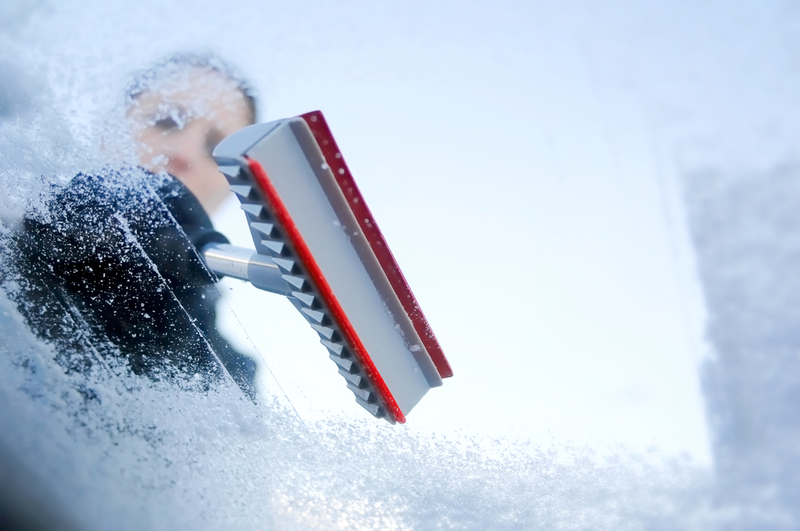 Keep an ice-scraper and anti-freeze in car at all times. It is sensible to carry some ‘just in case’ emergency items, especially on longer journeys or bad conditions. Hopefully you won’t need them, but you’ll be so pleased to have them if you do. We’d suggest some extra warm clothing, blankets etc, water and snacks, a torch, a hi-vis vest and a spade if you have to drive in snow. Generally, in the winter months, it is particularly sensible to keep your car well-maintained to minimise the chances of problems and accidents. Ensure your MOT and services are up-to-date. Be aware that batteries are more likely to struggle in the winter so ensure yours is in good working order, especially if your car is over 5 years old. Also check the condition of your wipers, tyres and anti-freeze levels. Check your car regularly. Stay safe. And if conditions are really bad, don’t go out unless you really have to.